Haley Steffen was born polydactyly. And while her extra thumbs were surgically removed when she was just seven months old, she is adamant that it’s the reason she is who she is today. Haley’s passion for biology and Dance Marathon—a nationwide organization that raises money for local Children’s Miracle Network Hospitals (CMN Hospitals)—grew throughout high school where she eventually helped plan each year’s event and began organizing the Dash for Dashiell fundraiser in honor of a miracle child who passed away. As college neared, Haley looked for a school where she could continue the Dance Marathon tradition of helping kids while pursuing her medical studies. Haley has also been able to see her hard work pay off in a variety of ways. Just prior to the new University of Iowa Stead Family Children’s Hospital opening, Haley and some of her fellow Dance Marathon members were able to gather together for a ribbon-cutting ceremony for the Luther College patient room located on the 10th floor of the hospital. She was also heavily involved in helping the college raise more than $71,000 for Stead Family Children’s Hospital in 2017. 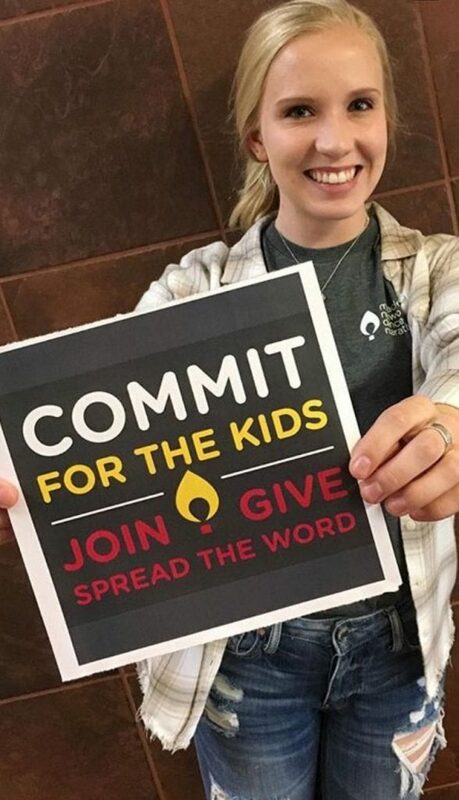 With this year’s Luther College Dance Marathon being held on April 7, 2018, Haley has worked tirelessly to get the community and more groups on campus involved in the cause as a true community event. She’s encouraged her Dance Marathon participants to focus on three things: finding their why, focusing on the wins of each day and being the bigger. “That means realizing that the dancers are truly at the core of what we do,” she explains. “We could not have a Dance Marathon without them!” And all decisions are being made with their best interests in mind. 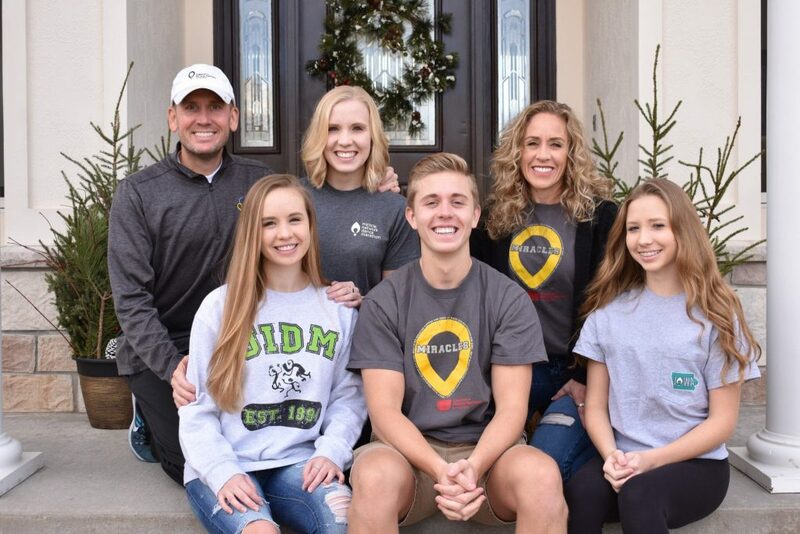 Although Haley was the spark that ignited a passion for CMN Hospitals, the entire Steffen family quickly galvanized around the Dance Marathon cause. 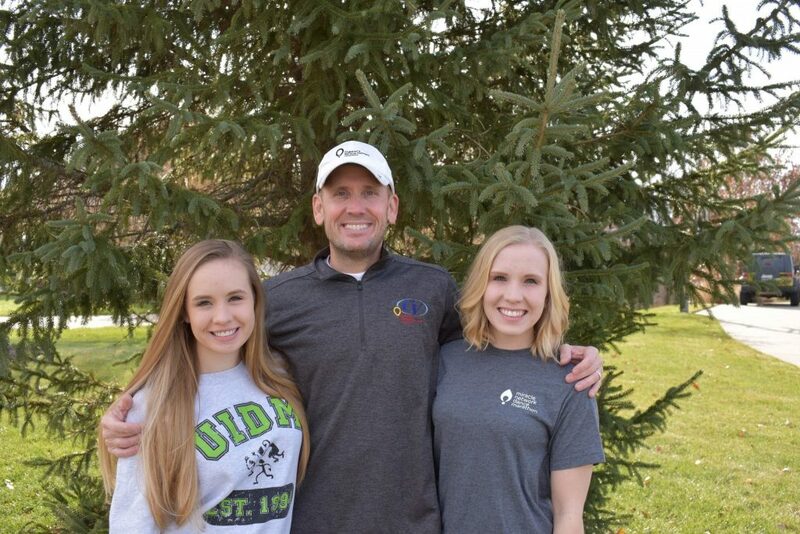 As Haley’s two younger sisters grew up, each of them joined the Dance Marathon movement as well, and her brother and parents are strong supporters of everyone’s efforts. Emma got involved with West High’s Dance Marathon as a freshman and her dedication grew when her peer passed away from cancer. She helped Haley set up the Dash for Dashiell and collaborated with other students to start Flash Fest. Now a college freshman at the University of Iowa, she was proud to participate as a dancer in the University of Iowa’s 24-hour Dance Marathon this year. Emma hopes to be a pediatric physician’s assistant, and she’s realized, partly through the Dance Marathon experience, that working with kids is something that she loves. “I love seeing the families,” she says. And Haley and Emma’s youngest sister is also helping set up a Dance Marathon as a freshman at Liberty High School.